Channel your inner queen and don this glamorous ring with pride! 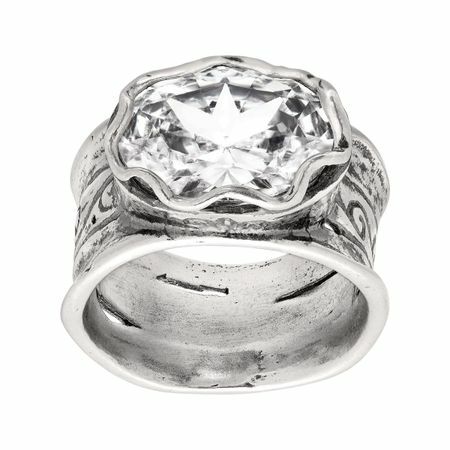 The intricately engraved sterling silver band holds upon it an oval-cut cubic zirconia for an extra dose of shine. Ring face measures 7/16 inches in width.